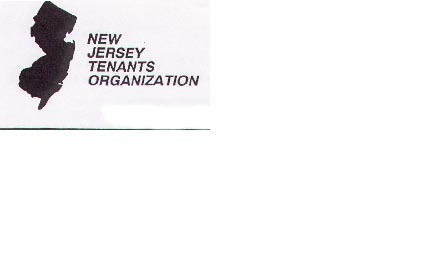 The New Jersey Tenants Organization is the oldest and largest tenant membership organization in the United States. Since 1969, we have been the voice of tenants in New Jersey. One third of New Jersey residents are renters – approximately 1.1 million families. We are very concerned with how privatization affects tenants, and so we have joined the New Jersey Coalition on Privatization. It’s not that we’re any different from homeowners in this regard. We pay property taxes through our rents, income taxes, sales taxes, and all sorts of fees. And for these payments we expect our government to provide quality essential services. We appreciate the fact that we can watch our government in action. And we can obtain copies of almost any government document. If we don’t like how our government is operating – if, for example, the snow isn’t removed from our streets quickly or thoroughly enough – we have some built-in remedies. If we think we’re being overcharged, we’ve got those same remedies. We can petition our government to change their wicked ways, and, if they don’t, we can vote them out of office. It’s called accountability. It’s called transparency. It’s called democracy! We love our democratic government. It’s not perfect, but no one’s ever invented anything better! So why would our state, county or municipal governments want to hire private companies to perform government functions? Companies that are responsible to their Boards of Directors and their stockholders, not to us. Companies whose one overriding concern is their bottom line, their profit, rather than our welfare. Sounds crazy, doesn’t it? Downright stupid! And really, really dangerous! Don’t you think it might be a little tempting to some of these companies to slip a little something under the table to a friendly government official who might possibly help them get the contract? I know, I know ¬– that’s a little dangerous. It could even mean jail time. But the rewards are so very inviting! Then again, maybe just a sizable campaign contribution by a friend of a friend of a friend. That’s legal, isn’t it? Make no mistake about it – privatization is an invitation to corruption. Nevertheless, a number of governmental bodies have or intend to privatize some of their functions. They justify this reckless action by saying they can lower taxes, or at least not raise them as much. So they fire qualified workers earning reasonable wages, and may even sell off valuable public property. And what happens to the public? Do we benefit, or are we harmed? Our property taxes may not go up quite as much, but how much are we forced to pay the private company? Do we even get the same quality service? Are the new company employees as qualified as the experienced government workers they are replacing? And if we are harmed, WHAT CAN WE DO ABOUT IT? Can we even find out how these companies are operating? Do they have open meetings? Of course, not! Can we get copies of their relevant documents? Good luck with that! So our coalition has adopted a set of principles that we think should be enacted into law, even into the Constitution. We believe that when a government function is sold off to a private company, that we get the same quality service performed by employees with equal qualifications that the government was required to give us, and that we pay no more for that service than what we would pay the government. These companies must be forced to operate in the open, in a manner visible to the ordinary citizen. All of their related documents must be available to us. And if they don’t meet their responsibilities, we need the government to have the power to cancel the contract and/or take back the property. Furthermore, if the government doesn’t act, the people must have the power to force them to through a special vote. These are common sense requirements that attempt to restore the accountability, transparency, and democracy that are currently lost when privatization occurs. It’s not as good as keeping government functions as they are, because the incentive for corruption is still there, but it would be a big step in the right direction.